At PT. INDONESIA DS INDAH KARYA, we have our own chemical division and we produce locally in Indonesia with the highest standards and supervised and controlled by Experts. 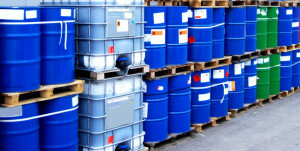 We produce locally, so are able to customize our chemicals to suit customer needs and specifications. We have a wide product range for wide and various application and Industrial Sectors. For Mining and Workshop workers,cleaning hands from Dirt,grease is made simple now, they can even enjoy lunch after using our products, which has antiseptic added. PG Based Radiator Coolant that is recommended by many Heavy equipment manufacturers such as Caterpillar, Perkins, Cummins, Detroit Diesel, New Holland, Toyota and Mercedes Benz. We can supply in Bulk quantity at a very attractive price. This chemical is commonly used to maintain the calory for Coal mining,the chemical can be used in the production conveyor system,or in stockpile. Save huge losses of money from Calory downgrade and to protect from spontaneous combustion problem. Our team can help you giving calculation for money savings on this. just apply our chemicals to move all the rust away instead of buffing and grinding. Your valuables can be protected from Future Rust Risk. Our Anti Rust and protections are waterbased products as well. For most Mining Industy,the use of Tire consumes lots of money,our high quality Tire and Rim Additive will prolong the use of Tire and will save huge money,this is a must for any industry with many fleets. For most Mining industries and Forestry,Dusty Haul Road will create several major problems,slow productivity and Health. By mixing our Dust Tamer,Haul Road will be free of Dust,increasing productivity,reducing cost on Road maintenance. We have many more products that are made according to customer’s needs. Please Contact Us for any problem you have that may need a chemical solution.